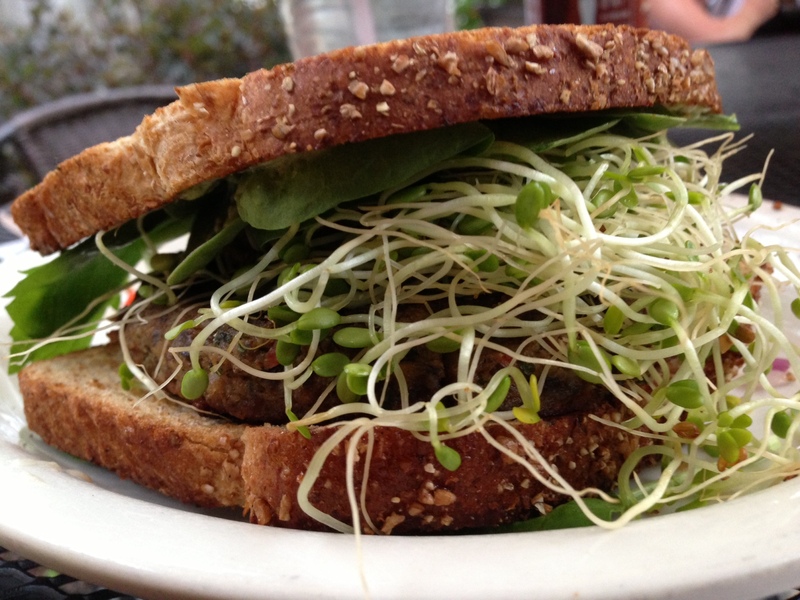 Veggie burger with sprouts at Monon Food Company. Stephanie and I started an experiment five years ago today. We decided to eat a vegetarian diet for the month of October. We’d both tried it a few times before. But this time we did it for a reason. We did it to remember our friend, Stephanie’s best friend, Amanda. Amanda, a longtime vegetarian, was a bright, bold personality, whom Stephanie met in high school. After she was killed while riding her bike in a tragic hit and run, we wanted to do something to remember her. Celebrating her birth month, October, by not eating meat, which was important to her, seemed the right thing. Near the end of the month, vegetarianism took root, became our own thing. It forced me to try new foods, to think about what I was eating and how it filled my nutritional needs. I’ve eaten more foods since becoming a vegetarian than I did before. Since that first month, I’ve gone through various stages of proselytizing a plant-based diet. To everyone’s relief, I’ve gotten pretty good at keeping my mouth shut. I believe in the good that a vegetarian diet creates, but I realize in some ways it’s just that. A belief system.